Our Sheer Bliss Arrangement is an ideal centerpiece or accent piece for the wedding reception. 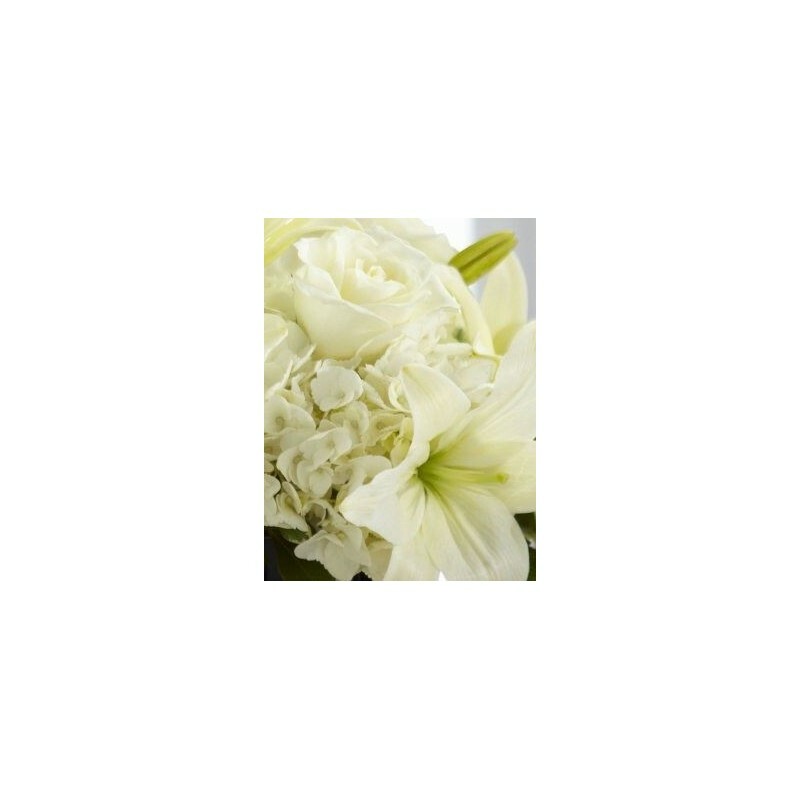 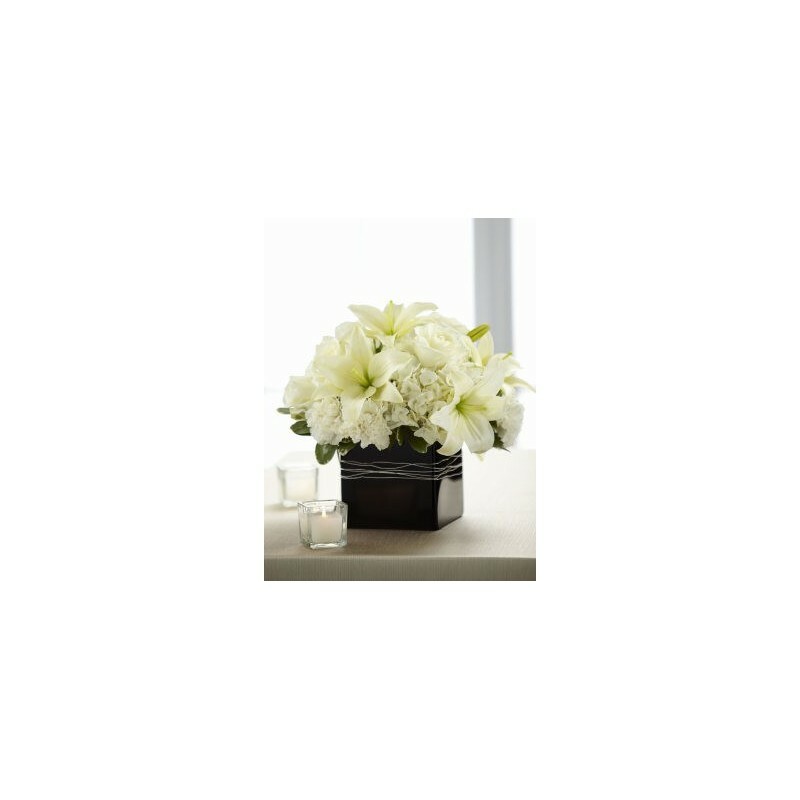 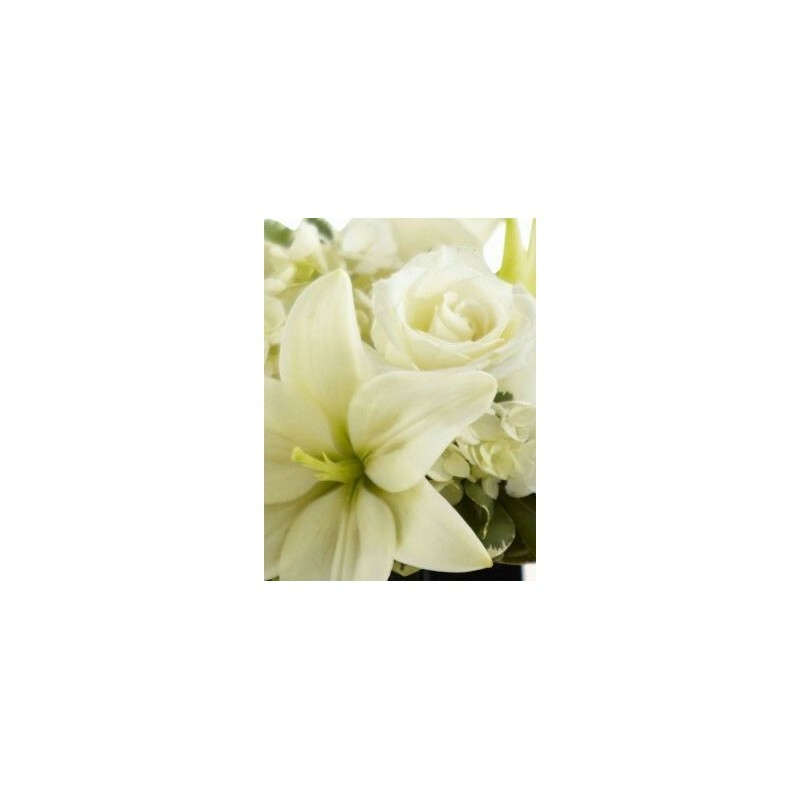 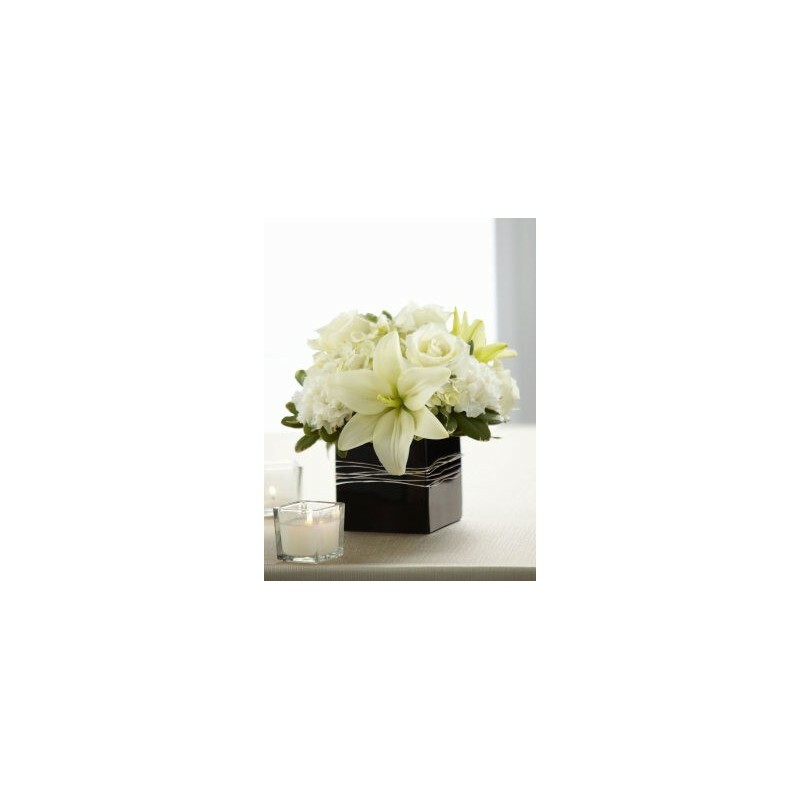 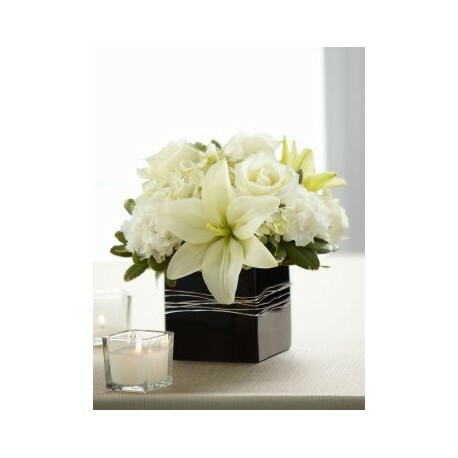 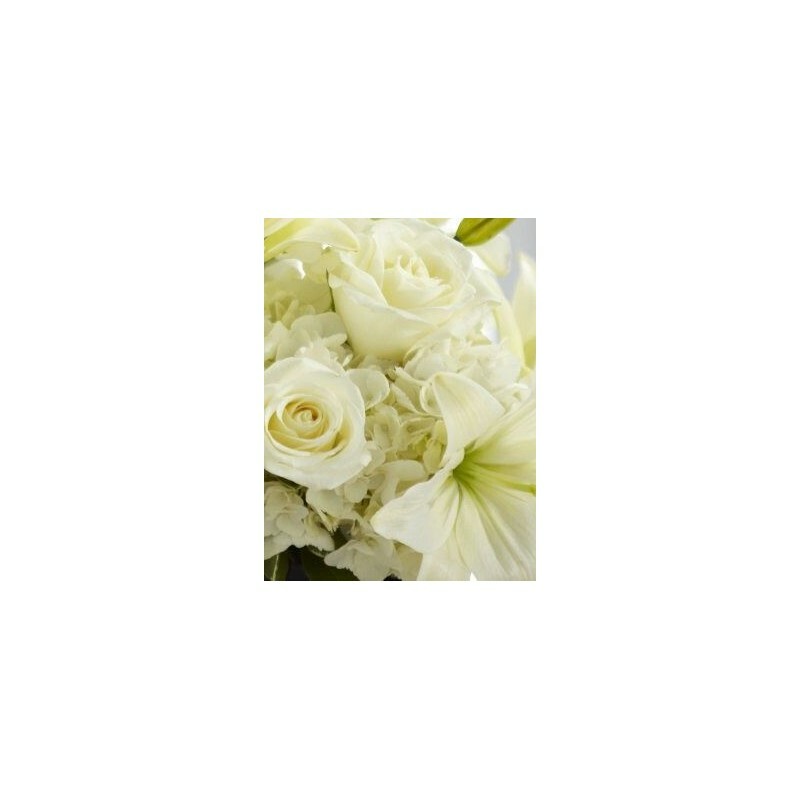 White roses, asiatic lilies, carnations, and hydrangea are offset by lush greens and arranged in a chic black ceramic cube vase to add to the elegant ambience of this most momentous day. 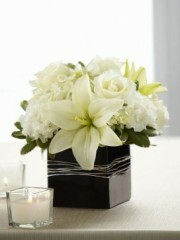 Available in 3 sizes to suit your budget and taste.